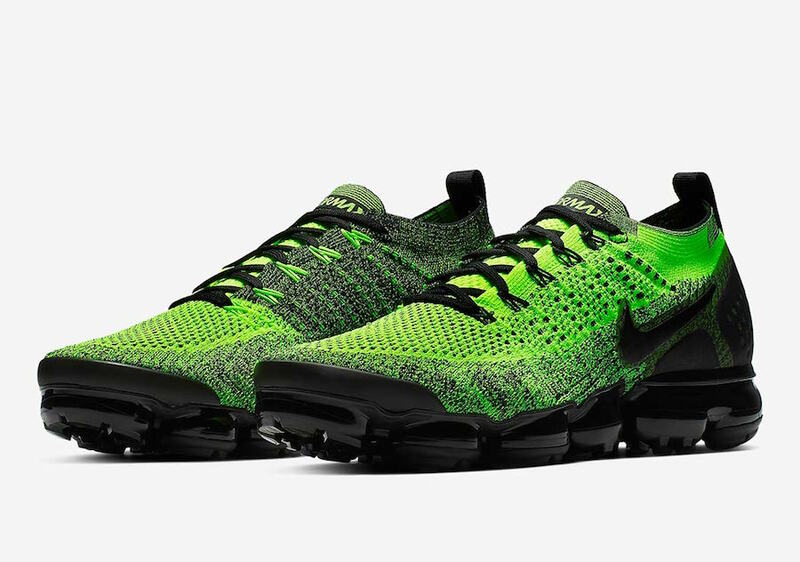 Comfortable and lightweight, the revolutionary Nike Air VaporMax 2.0 returns this season in two new striking ‘Orca’ and ‘Neon Green’ colour-ups. The original VaporMax was built with the idea of using less air, but more efficiently. Designed with the assistance of pressure maps on the foot, Nike’s designers identified the precise amount of Air needed to support a runner’s step. Utilising their data, the team formed a tread patterned outsole which performed like small pistons; with each of its lugs being pushed into the Air unit and releasing at step-off for an energy-responsive, propelling burst. 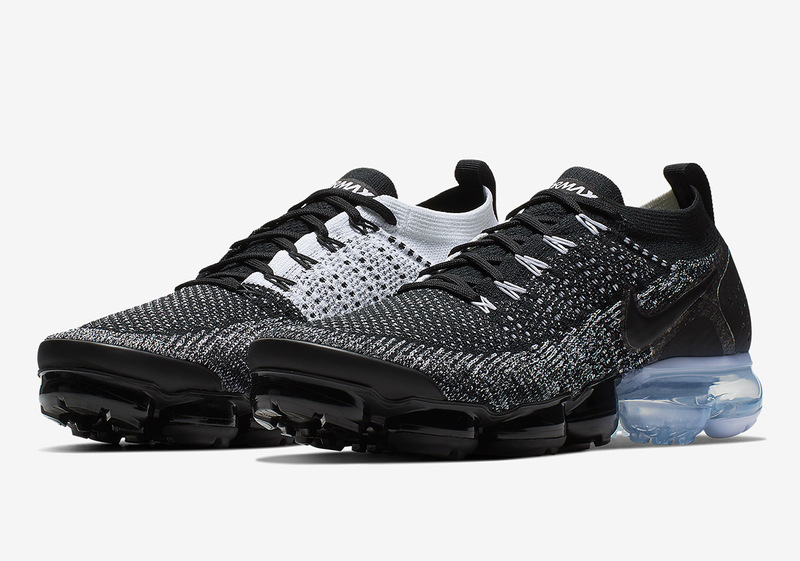 The VaporMax 2.0 worked upon the already ground-breaking technology of its predecessor, radically updating the silhouette with durable synthetic overlays on the toe and heel for enhanced protection. The lightweight trainer also features adaptive Flyknit uppers which move with the contours of your foot for an ultra-lightweight feel, while a Flywire lacing-system guarantees a locked-in fit. With monochrome palettes never sitting on the shelves for too long, Nike debuts an entirely new ‘Orca’ colourway to the Air VaporMax 2.0. The two-tone runners see their foot-hugging Flyknit uppers swathed in contrasting shades, with black making up the lateral side and white to the medial. Underfoot the two-tone aesthetic continues, the trainer’s cushioning bubble outsole sees the front half blacked-out, while the heel remains clear. Next up, a ‘Neon Green’ colourway sees the silhouette dressed in bold head-turning shades. Delivered primarily in green, speckled hits of black feature throughout for stark contrast. Below, the iconic midsole is painted entirely black and a rubber outsole provides traction on challenging surfaces. The Nike Air VaporMax Flyknit 2.0 ‘Orca’ and ‘Neon Green’ will be available via the size?Previews App and in size? stores on Friday 1st February priced at £170.